Stampin' Up! 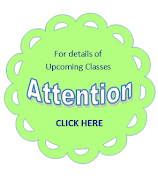 have three promotions for you this October. Check them out below. They're still a little hard to read the prices but it's as big as I can make it. Feel free to contact me and ask me for details though. This deal is only available until the 10th October. 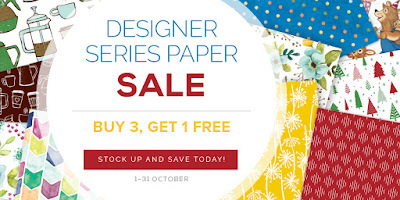 The second deal we have for you is a Designer Series Paper sale. Until the 31st October, when you buy 3 packs of selected paper, you receive a 4th one free. Don't be put off by the idea that you wouldn't need that much paper - grab a couple of friends and do a deal. 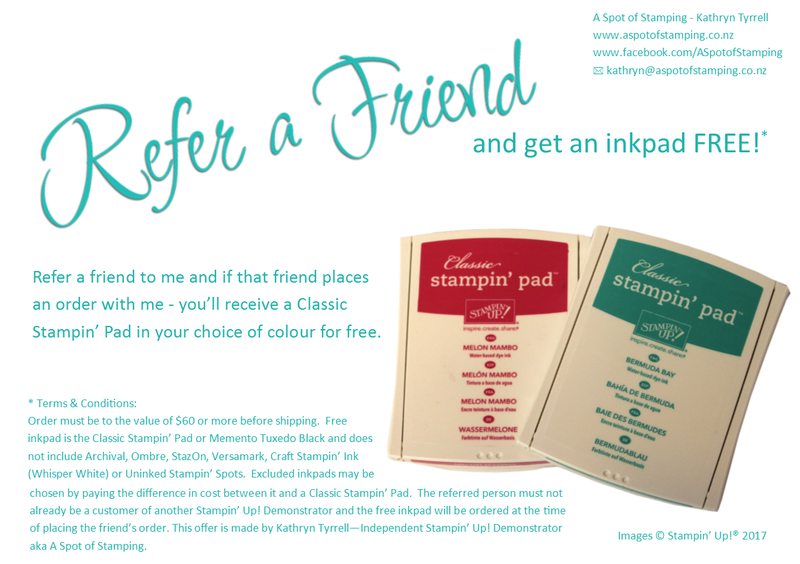 If you pay for a pack each, you can split the free one up between you and receive 4 free sheets each. You could either pick a pack each that you like, to keep as your one pack, or share the whole lot out between you. It's the perfect way to get a variety of Designer Series Paper - for the cost of a single pack. 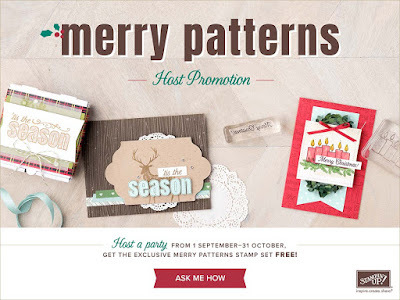 Lastly, there is a Host Promotion called Merry Patterns. 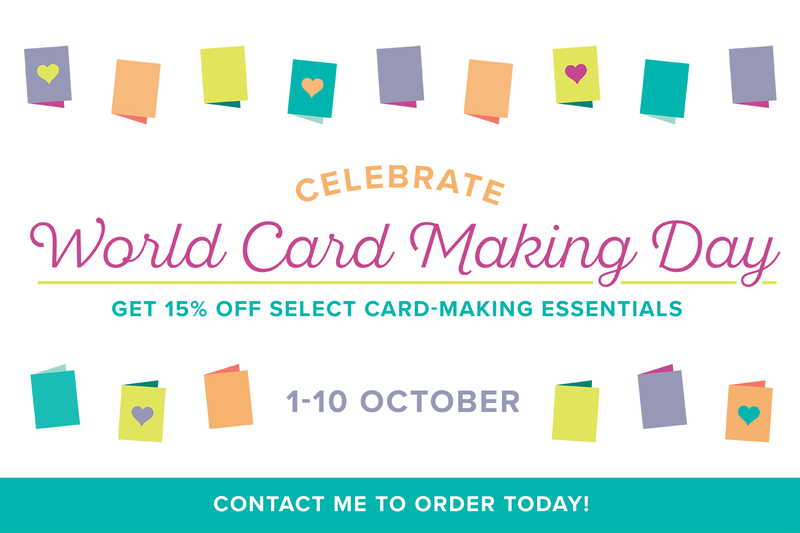 If you host a party before the 31st October, with qualifying sales, you will receive an amazing limited edition stamp set on top of everything else you would normally receive for being a host. 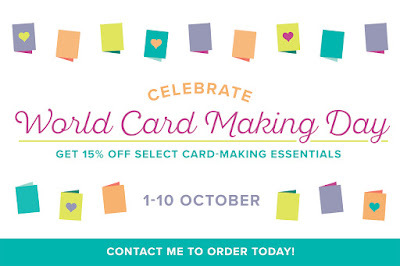 This includes up to 16% of the value of your orders back in Stampin' Rewards dollars to spend on anything in either catalogue, the opportunity to purchase one item at 50% reduce price (if you reach level three or four sales) and a special host gift from me. Check out the stamp set in the video below. I'm loving those candles - they could be used for more than just Christmas projects. What is a basic kit?